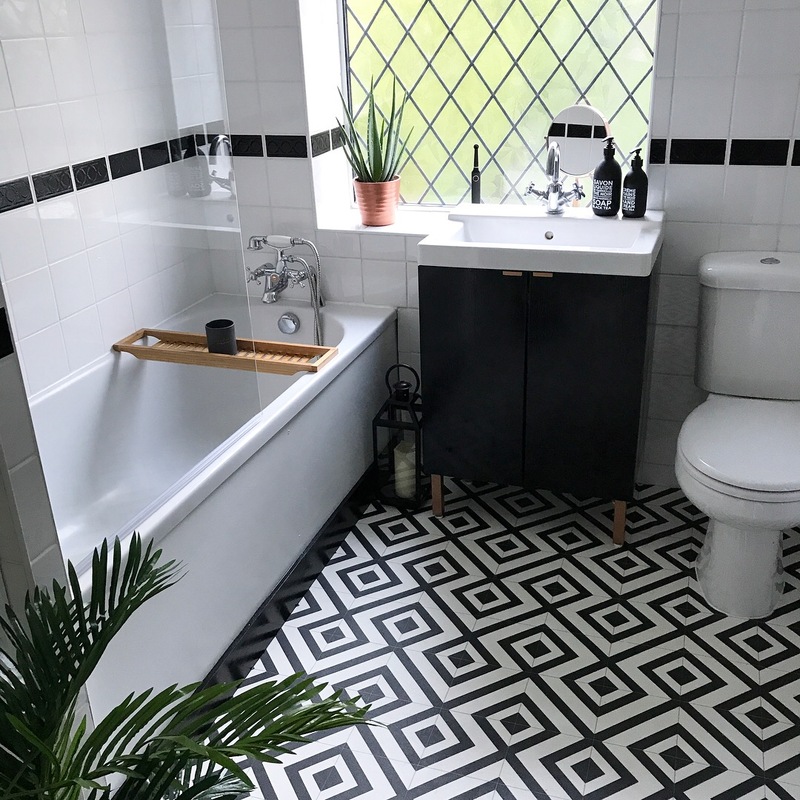 If you follow the blog or any of my social media channels, it probably hasn’t escaped your attention that we’ve been working on a mini bathroom makeover. It’s not the forever bathroom, but we’ve made a few simple changes that have totally transformed the space. 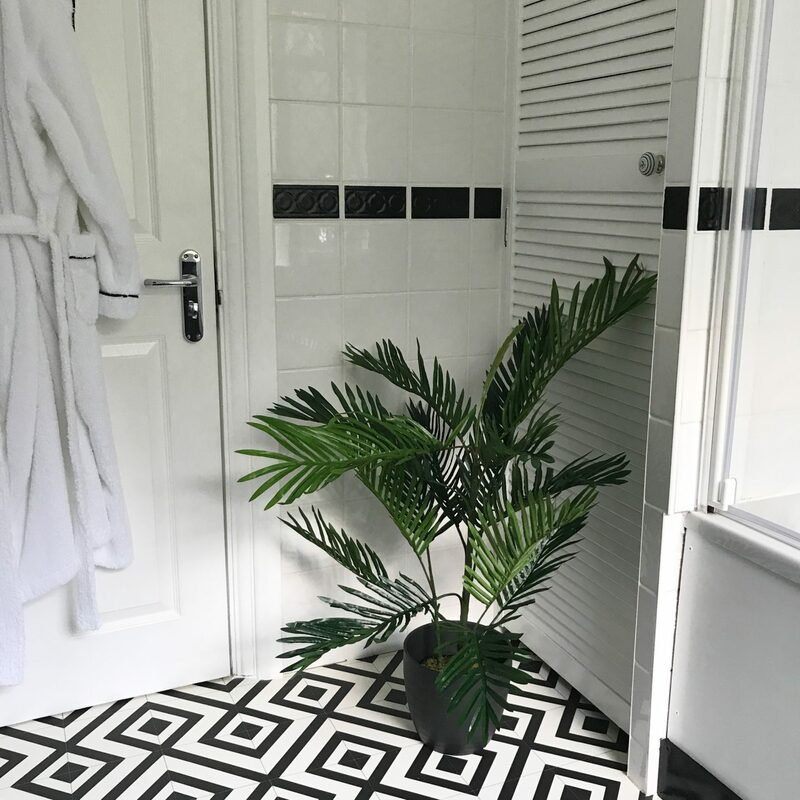 Our tired dark bathroom now looks so much more fresh and modern and so I thought I’d share a few decorating ideas you can use to brighten and modernise your own bathroom. Low cost, low effort, win win! We knew we didn’t want to replace our actual bathroom furniture. But the shower screen was one of those very old-fashioned concertina style ones. We now have a simple, clean pane of glass which looks so much more stylish and is far easier to keep clean. There is so much inspiration, similar to these shower screens from Better Bathrooms here. I’m a little bit obsessed with mirrors at the moment. Some great ideas for bathrooms include illuminated mirrors and ones which are fog-free regardless of how hot the room gets. We fitted a new cabinet with large mirrored doors, very simple but helps to give a greater sense of space. As our main bathroom is tiled floor to ceiling throughout (not our choice believe me, inherited from the previous owners!) we didn’t have any artwork previously. Now we’ve framed and hung a beautiful piece of photography from one of our friends. It adds interest and detracts from the very bright, white tiles. If you’re unsure about drilling through tiles, consider super-strength Command Strips, they work a treat! Opting for a monochrome colour scheme, I hunted down some gorgeous fluffy black towels from Hampton and Astley. Nothing says luxury like wrapping yourself up in a cosy towel post bath or shower. The way you light a room has a big impact on its ambience. Little touches like adding lighting around the mirror, or installing dimmable lights can make a huge difference. When our electrics were upgraded at the start of 2016, all the downlighters in the bathroom were replaced. Dirty or mouldy grout is one of the earliest giveaways that a bathroom is in need of an upgrade. It is also notoriously hard to keep it looking pristine without very regular cleaning. Thankfully there are several inexpensive, effective products on the market which will bring it back to sparkly new. I don’t know about you, but taking a long, hot soak in the bath is one of life’s great pleasures. I now have a wooden bath caddy to rest the all important trinkets of wine glass, book or ipad, as well as scented candles. Enjoy that bath time to the max. I’m so envious of all those gorgeous spacious bathrooms I see on Instagram. Unfortunately neither of our bathrooms are big enough for a separate chair, but if you are lucky enough then turn your bathroom into a lifestyle experience. Add a chair to either relax yourself or to hold those important conversations with your other half whilst you’re in the bath. Heated towel rails are an absolute must. There’s nothing worse than damp towels that haven’t had the chance to dry properly. There are so many stylish choices on the market now and you can even replace it fairly easily using these instructions. We haven’t been brave enough to tackle this type of job ourselves yet, but there’s a first time for everything! I loved watching this makeover on your Instagram, it literally looks amazing now! There’s nothing better than a clean feel to a bathroom and yours is exactly that! (I think the super scrubbing of the tiles helped a lot!! 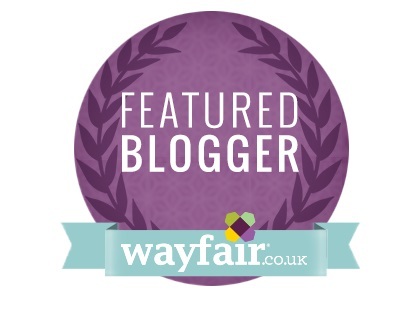 :P) You’ve totally got it right here – not too busy, not too plain, homely but stylish – totally in awe of what you’ve achieved! Budget makeovers can sometimes totally be the best makeovers! Gorgeous, I love what you have done with this bathroom and the tile is just stunning!